10. Installation: The steel pipes are fixed by screws and nuts.The tent can be fixed with ground through bases by different ways. If concrete floor, the tent can be fixed by expension screws. 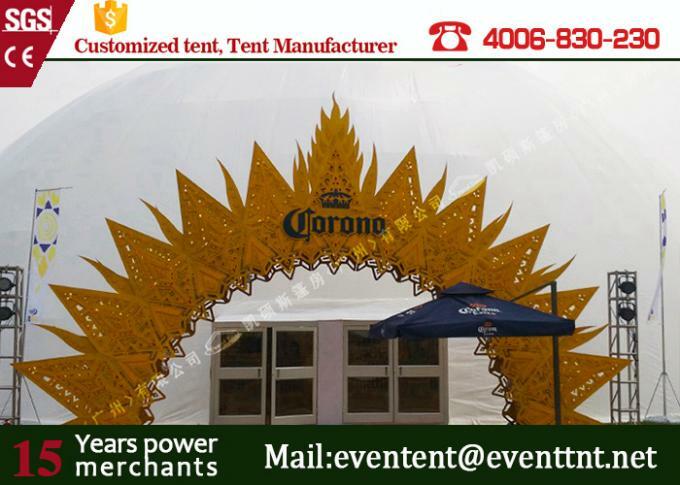 If soft ground (grass ground, mud ground etc), the tent can be fixed by big steel nails (anchor). 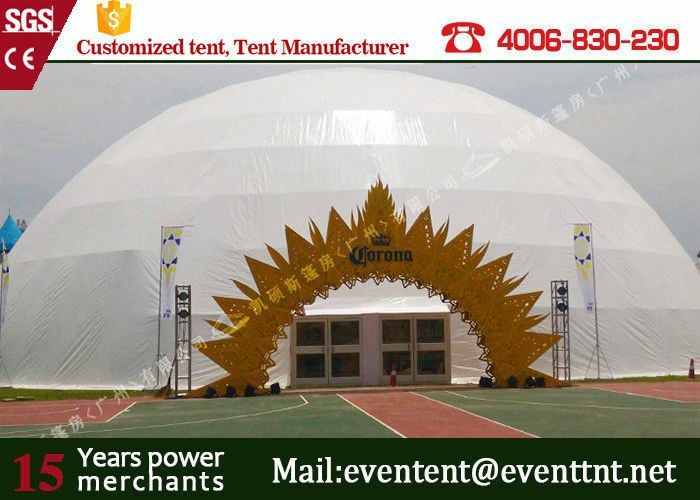 If undestructible ground (marble, asphalt etc), the tent can be fixed by weight plate system. We can send one technician to guide the installation FOR FREE, but the buyer needs to cover the cost of visa, round trip air tickets , accommodation, food and other cost that happen in your country .